The toughest materials meet the fastest assembly. 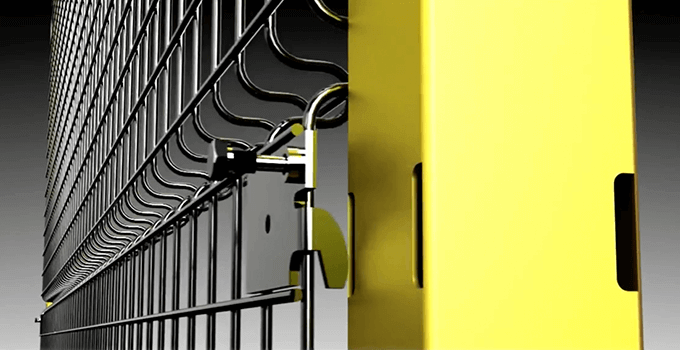 Our modular design uses interchangeable components to make installing Velox faster and easier than any other machine guarding system in the industry. 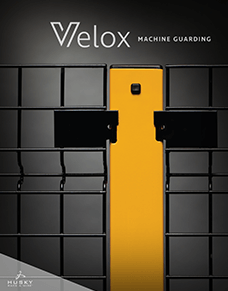 Velox is the fastest-installing machine guarding product available, meaning you spend less time assembling and more time getting back to your bottom line. Design using modular components from our 48 Hour Quick Ship List to get up to code faster than with anyone else. Our posts offer the greatest strength and stability available in the market, and specially ridged panels reinforce that strength without the unnecessary bulk or weight of frames. 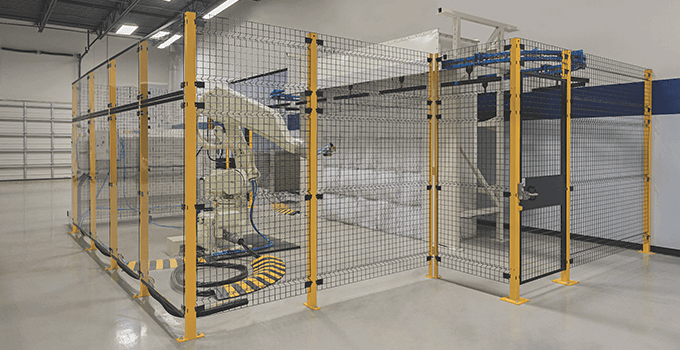 Modify in the field to create the exact machine guarding system for your needs thanks to unframed wire mesh panels that can be easily cut. All panels are non-progressive, so you can remove any single one without having to take down the entire line. 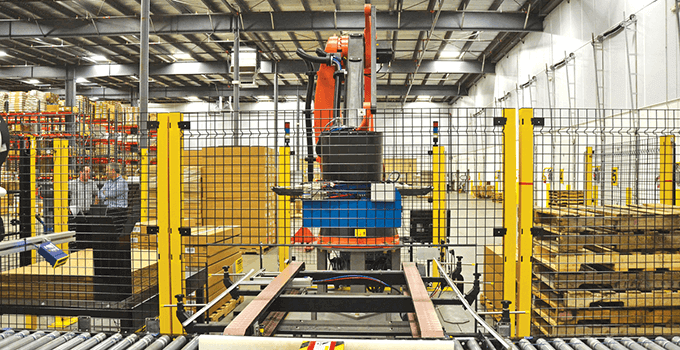 Make it easy to work around tight spaces or other equipment and use special designs with our modular components and the help of our design engineers. Our products are protected to ship well the first time. 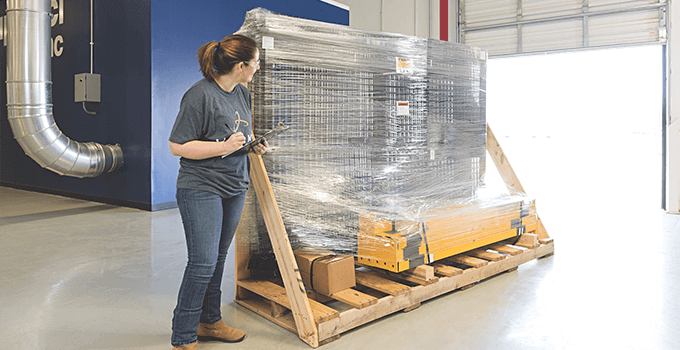 Custom, reusable heavy-duty crates prevent damage from occurring in transit, so you avoid the worry and hassle of potential delays. Velox backs up ultimate protection with efficient, reliable support. Our customers can expect a response time of 24 hours or less when requesting a quote or distributor, and the option to order from our Quick Ship List means we deliver on speed when you need it most. 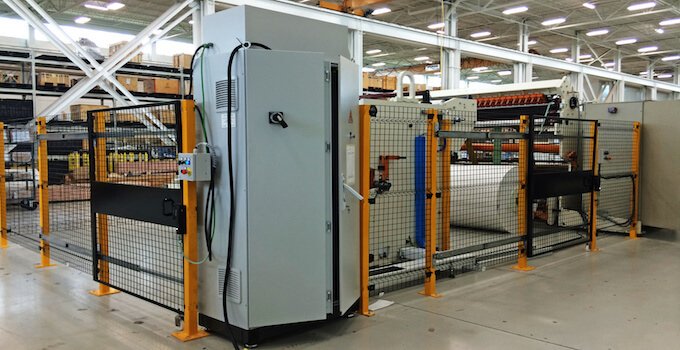 Velox Machine Guarding is proudly manufactured in the U.S. by Husky Rack & Wire. We are one of the largest manufacturers of material handling products in the United State. Our family owned and operated company has grown and prospered due to our strong commitment to product development, quality control and, most importantly, meeting the needs of our customers.